I discovered this gem when I was pregnant with my first child. 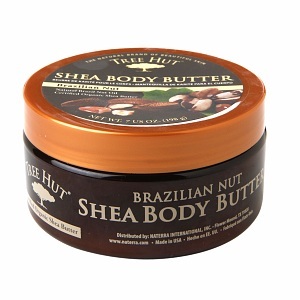 I slathered myself with it every night before I went to bed and didn’t get any stretch marks. With that being said, I’m sure I lucked out with some good genetics. LOL! But this lotion has remained my staple ever since. The moisture lasts all day, and nothing else has come close. It’s warm nutty fragrance makes my husband think of cookies, which I love, and it leaves my skin soft as silk. I don’t use anything else.